Charlbury Action Plan’s Movement Group wants your help to survey Charlbury’s streets, footpaths and green spaces for obstacles. Grammar School Hill pavement parking: cars parking on the pavement ocassionally prevent puschairs from getting past, meaning they have to divert into the road where there is no shelter from oncoming traffic. The road there is wide enough for parking and for e.g. oncoming double decker buses alike, so it probably just needs a sign or road markings keeping cars off the pavement. Cycling to the train station: danger from cars in a rush to get the trains, particularly bad on market street (where the post office is) due to cars trying to overtake where there is not room to safely do so. Would like speed limit reduced. Roundabout Junction by station is very precarious. The route via Crawborough is a good cut through, but not accessible unless on a mountain bike due to its condition. The repair of potholes has at least made the journey a bit safer. Cycle routes: Dedicated cycle routes would make it safer. This could help the town centre too because lots of cyclists come through Charlbury and stop at the Deli etc. Cycle parking: Good that there is some outside Rose and Crown and Community Centre. Would be handy if some by the Co-op. Footpath from The Slade to Dancers Hill: Rock part way down makes it impassable for pushchairs. Cycling on The Slade: cars try to overtake where it is too narrow, e.g. approaching the traffic island, past parked cars on the hill up to the school, approaching Enstone crossroads. Need a cycle lane. 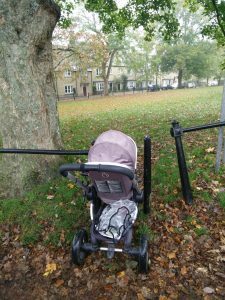 Pushchair access to green spaces: many have entrances that are not accessible to pushchairs, i.e. the Playing Close, the Mill Field, the recreation ground (Ticknell Lane and Quarry Road entrances). It would also be good if the gate to Nine Acres at Enstone crossroads could be open, with a removable bollard to stop cars if needs be, so that pushchairs could short cut across. Wheelie bins blocking pavements: This can’t be entirely helped, but taking bins in as soon as possible is a big help to people with disabilities on our narrow pavements. The Grammar School Hill footpath from the Pre-School corner to beyond the Lee Place gateway has been surfaced on two levels. This unevenness makes it awkward for prams and buggies and almost impossible for two people to walk comfortably abreast, often forcing one of them into the road. It can be uncomfortable even for a solitary walker who doesn’t wish to hug the wall or balance on the kerbstones. I agree with Brigid about walking and buggy pushing along grammar school hill. My daughter also finds Pooles Lane difficult with small children and takes a detour from Fishers Lane to the Sheep St footpath up past the retirement homes rather than struggle past Anvil cottage with the children. 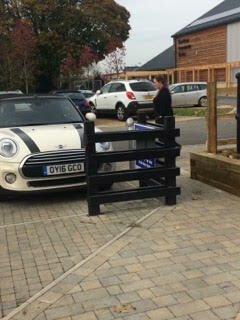 She also finds walking through the station car park after getting off a train hazardous with a buggy and small children. Letting them go along the platform is equally dangerous. Would it be helpful to undertake a survey of the cars parked outside Pre-School to establish who is parking there and what alternatives might be available to them? The Poynton street project – an example for Charlbury? Jean Adams on The Poynton street project – an example for Charlbury? Liz Reason on Walk, Cycle, Push!